More than ever, Americans are refocusing on what we are known for: kindness, tolerance and compassion. This is not a book about politics. This is a book about people — one at a time — doing what we do best. 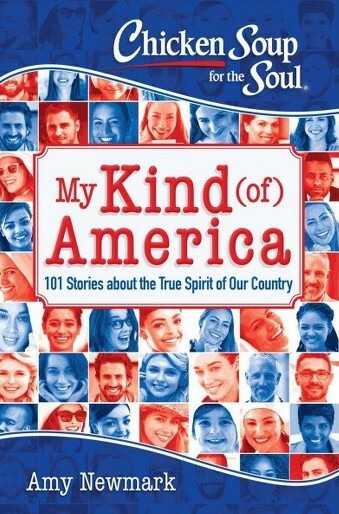 These 101 stories proudly serve as testimony that America is still a country filled with good people who volunteer in our communities, help people who need help, and pride ourselves on doing the right thing. Our huge and varied country is known for tolerance, energy, and spirit. We are proud of our inclusive and welcoming attitude, no matter our color, our country of origin, our sexual identity, or our religion. This is a book about hope and the true American spirit. It reminds us that a kind America is everyone’s kind of America. My essay is about how someone’s extreme generosity surprised me when I moved into a place of my own for the first time. Email me to order a signed copy.